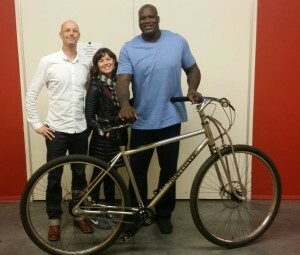 Tall people are fairly lucky when it comes to bikes. 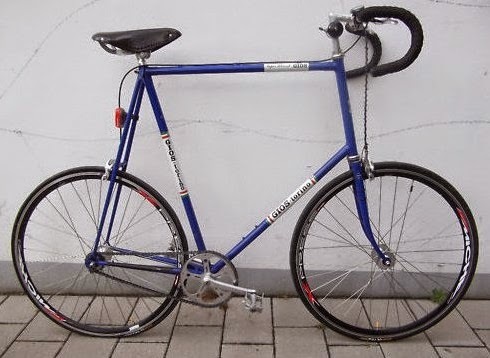 Being both adjustable and available in a range of sizes means it’s possible even for the those in the 99th percentile to find a reasonable bike to ride. But until recently, it was just that: merely reasonable. 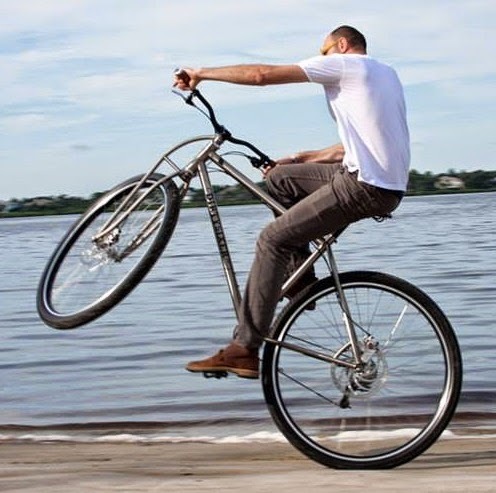 Sadly, the term “Tall Bike” has already been claimed by vertically stretched bikes for average people (not to be confused with a bike for a tall person). 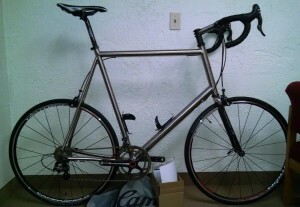 The result is a flimsy, uncomfortable, and slow bike. Since these early bikes for tall people, however, things have been getting better, particularly with higher end brands and models. The larger frames are now built with beefed up tubing, wider handle bars, and longer, albeit minutely, cranks. 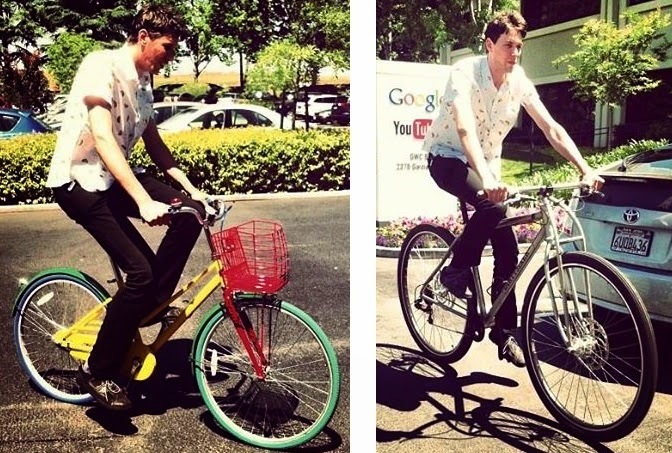 But for the really tall people, say 6’4″ and up, these bigger bikes still fall short. 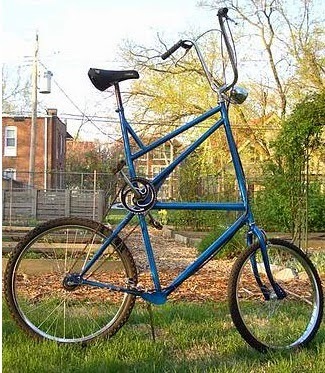 Custom builders can put together bikes more suitable for tall people. Frames can be built around proportionally sized cranks, which are now available at 220mm. 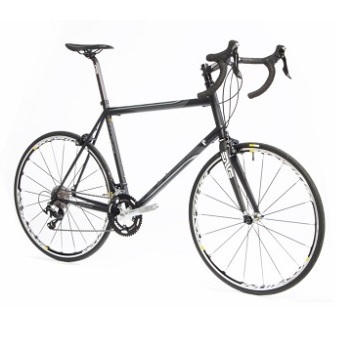 There are extra wide handlebars and the sturdiest components can be sourced. Really, just about everything on a custom bike can be sized for really tall people. Except for a few, and one part in particular, and a rather crucial part at that: the wheel. Both rim and tire manufacturing require highly specialized molds and jigs, making it infeasible for custom designers to use anything but standard sizes. The main problems of a small wheel are that the ride becomes rougher and thus slower and some obstacles become impassable. Though bigger wheels are better off in this regard, they have a greater moment of inertia and thus resist acceleration to a greater extent. As a person scales, the ideal wheel size, where the pros cancel out the cons, becomes larger. In 2002, Surly popularized the 29er wheelset with it’s Karate Monkey mountain bike. This was a big step up from the standard 26″ wheelset for mountain bikes and became the go to size for tall riders. But if 29″ wheels have been found suitable for average height riders, shouldn’t really tall people have something even bigger? 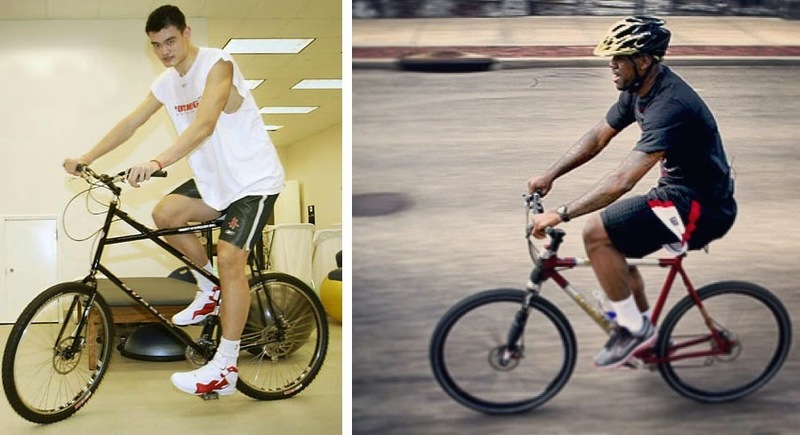 Yao Ming and Lebron James certainly would be better off with something larger than a 29er. Note that 29″ wheels are approximately the same size as 700c wheels (used on road bikes). Not surprisingly, the company is endorsed by the National Basketball Retired Player Association. 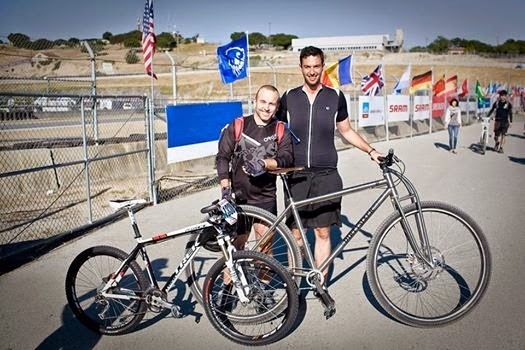 They have built bikes for the likes of Bill Walton, Dr J, and Michael Bradley. DirtySixer makes frames in both Titanium and Steel. The front suspension 36er is their next step, along with extra big pedals. Oh yeah, and a few final things about 36ers; first, they make everyone else’s bike look like a kids bike. 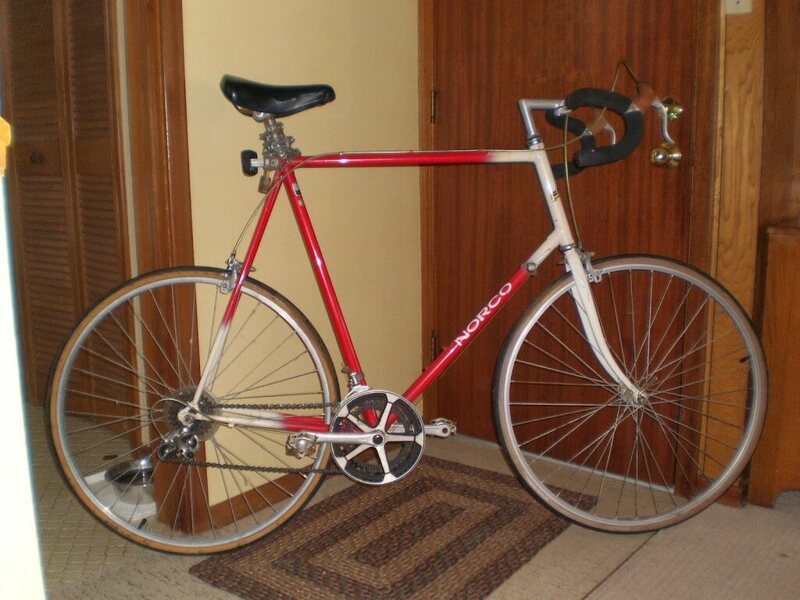 Second, your old bike will forever feel like a BMX. Third, because of the raised pivot point (axle), a given amount of thrust equates to a larger moment: Pop A Wheelie! How would you like to ride one of these? 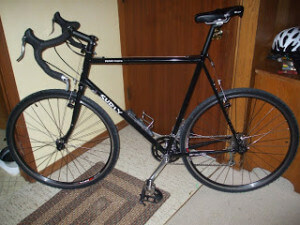 How do you see if you can get a bike like Bill Watson ? 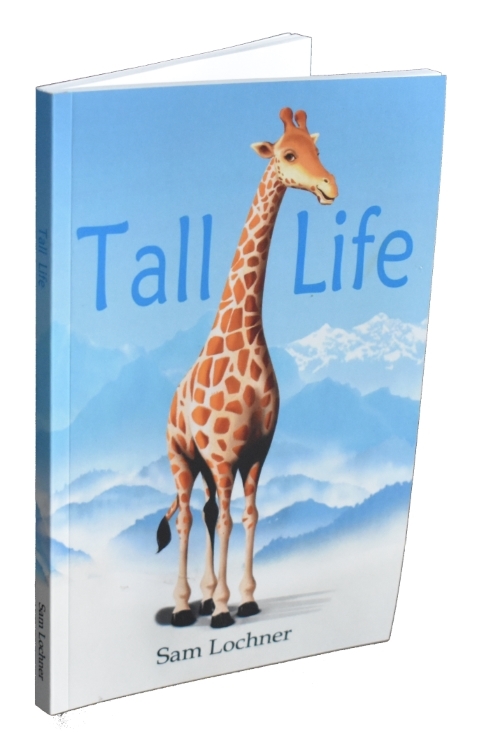 I am 6’8″ tall 255 lb.